Automotive A/C is a specialty that some general auto repair shops don't seem to understand. Here, at Kool Kar Auto Repair, we get cars in frequently that have been to a general auto repair shop to get the a/c repaired and the customers problem is not solved. I am not sure if it's lack of knowledge on how the systems works or lack of training or something else. One of those vehicles came to our shop the other day. It had been to another shop to have the A/C repaired, but they didn't get the problem repaired. The vehicle was not blowing air through the vent it was suppose to when directed by the control. An extremely expensive part had been installed only to make maters worse than they were before. Finally the shop told the customer he could not do any more for the problem and suggested it be taken to a shop that specializes in air conditioning. We found the problem right away and corrected it quickly. 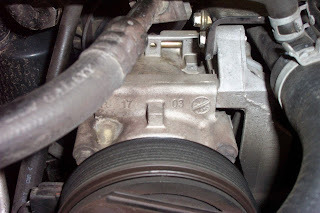 The part replaced by the other shop was not the problem and did not need to be replaced. The point I am trying to make is this... if you take your vehicle to a shop for a specific repair and that repair does not get repaired properly, you should take the vehicle back to that shop and ask them to make the repair properly. I'm not talking about intermittent electrical or electronic problems that can be difficult to track down and repair. You should never have to pay for the same repair more than once. I have a few suggestions for you when taking your car in for service. Explain the problem you are having with your car and ask the technician if he is certified to handle your specific problem. If he says no, ask if he knows a shop that specializes in this specific problem. You can save time and money by only allowing technicians that are competent in the area of the car you are experiencing problems with. For instance if the technician is only certified in brakes, that doesn't make him qualified to repair your air conditioning system. Kool Kar Auto Repair is The A/C Authority in Texas. Our Customers Give Us a Thumbs-Up on Quality, Service and Price... Every Time.